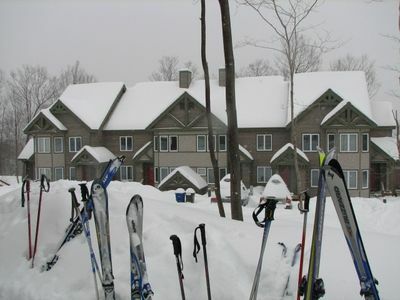 Ski in/ ski out large 1500 Square foot condo on two floors. 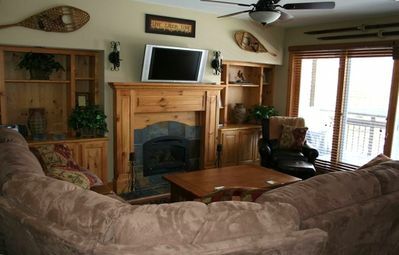 **We have another 1400 SF 3 bedroom condo on two floors 30 yards away from this unit (homeaway listing #171636), and we have a 2 bedroom unit 150 yards away from this unit (homeaway listing #158530). 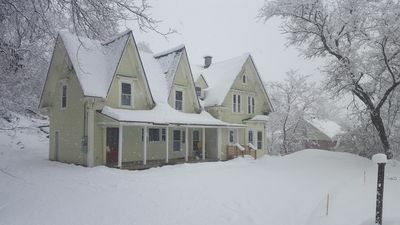 We have 3 units in total within 150 yards of each other for large groups, total sleeping capacity for the 3 units is 27 people. Easily catch 1st tram from any of the three of our units...all being in the closest vicinity to the Tram Base area and Pump House water park. 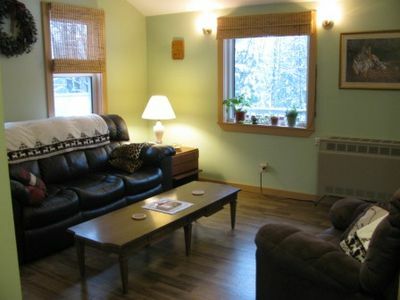 Our 3BR units feel like stand alone cabins and are attached to another unit by only a few feet. 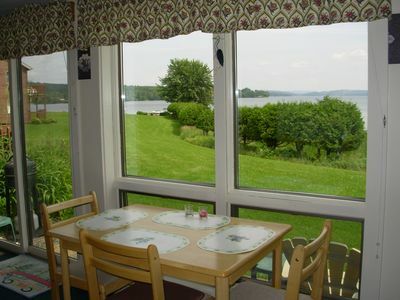 Our family renovated these units for our own comfort, since we stay here whenever they are not rented! 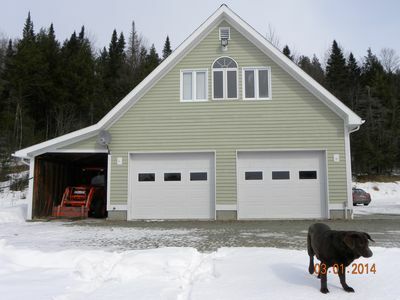 New doors, windows, new over sized 16' X 8' deck, paint, carpet, couches, dining set, stainless appliances, a new 42 inch Hi Def LED TV to watch the game! 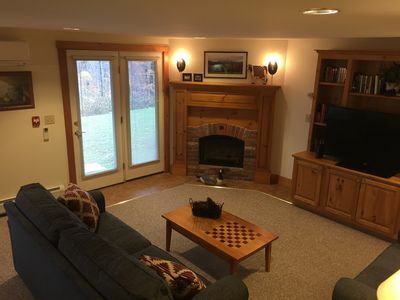 Beautiful gas fireplace to warm up after a long day in the snow. 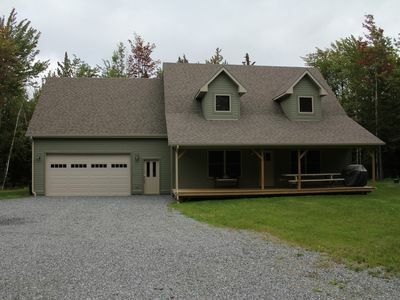 This home provides a more comfortable alternative to the newer condos which are much smaller and share walls, ceilings, floors with neighboring units. Two minute walk to new pump house water park, ski down to lifts and tram, walk to world class 18 hole golf course. 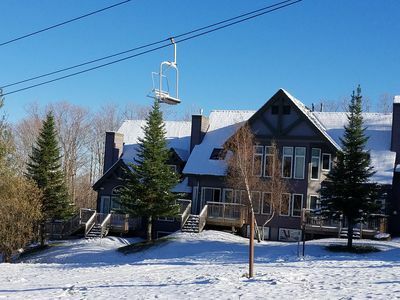 You can ski down to one of four lifts including the tram in the morning and ski back for lunch, put your skis by the deck, put your boots by the fire, and eat in comfort (Save $$, no looking for an open seat). 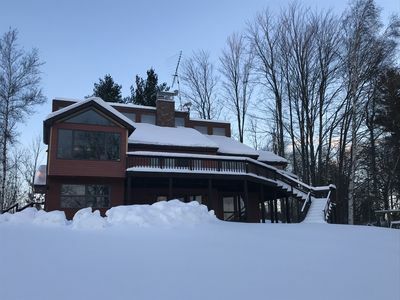 Ski home any time for a snack or bathroom break and at the end of the day. There is ample parking compared to many of the new condo lots. Full very nice custom Kitchen! 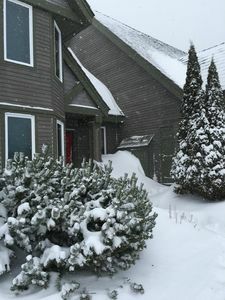 More Condo Details: This is one of the closest units to the Pump House indoor waterpark!! 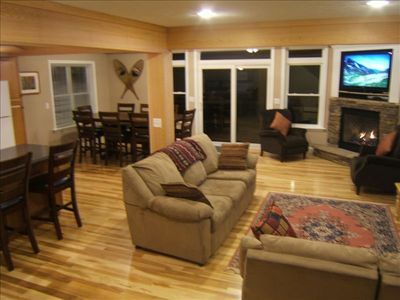 This condo/cabin provides plenty of space to relax and enjoy when not on the slopes. We have a brand new entry way with tons of cubbies for helmets, gloves, etc. and tons of hooks for ski jackets and pants. 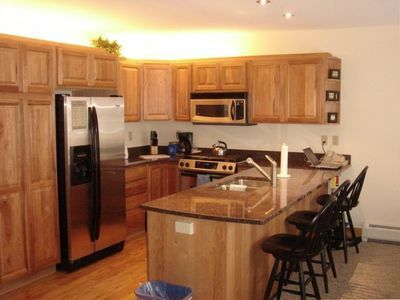 We have 2 beautiful rustic bedrooms and stainless kitchen appliances! 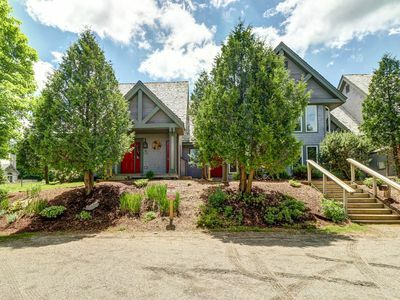 It overlooks a wonderful yard with private open space, maple, birch and evergreen trees. Skiing back for a break, snack, or lunch is a piece of cake. 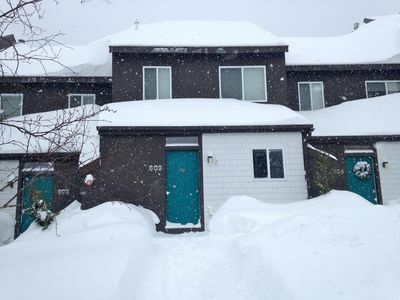 You can ski right to the door. 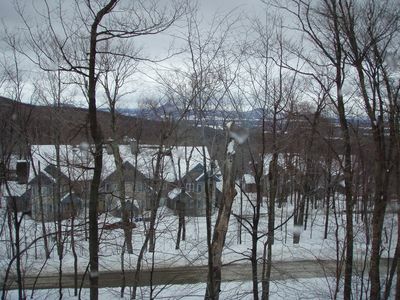 Back-country Access: The Jay area is known for the best back-country skiing in the East. Thousands of vertical feet of bottomless powder! Great Tele, Randonee, and Back-country Cross Country Skiing! 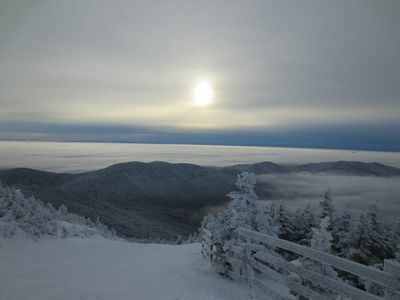 Ride the dip without a hike or traverse the ridge to BIG JAY and ski the best stuff in the east! Golf: The Jay Peak Golf Course is regarded as the most inspiring throughout New England, and the top course in VT! 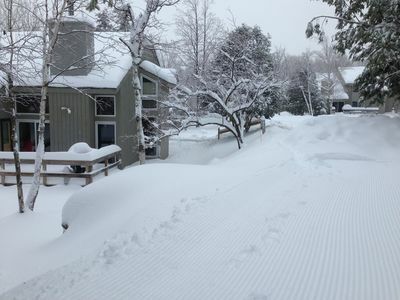 ***Ski in/out w/ 8 Ski passes inc. each day! 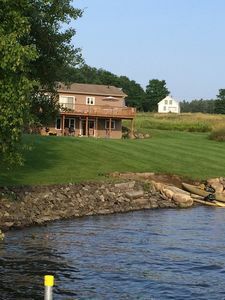 *** 4 BR Slopeside on Raccoon Run! Apres' Ski. SUN on the DECK or in the HOT TUB! Over 100*5* Star Reviews!! 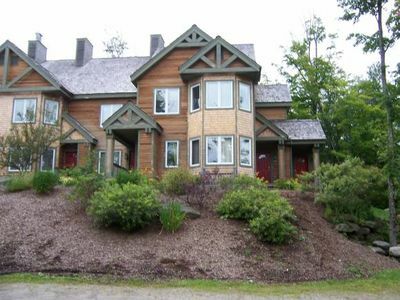 Jay Peak "Everglade Townhouse", Stoney Path @ Jay Peak Resort! Location!! 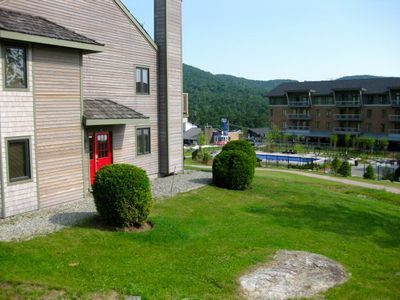 Beautiful 2-BR Ski-in, Ski-out Village Condo at Jay Peak, right on the slopes!